Explore a variety of discounts and specials with Manzanita Beach Getaway Vacation Rentals all year long. With specials always changing, check back often, we always have a way to save on your upcoming vacation! Or contact a reservationist to find out the best deal available today! 5% Discount for Returning Guests - When you complete a review of your stay! October - January Book 3 nights, Pay for 2! 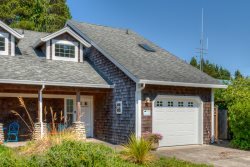 Why Book with Manzanita Beach Getaway Rentals? No pet fees for pet-friendly homes! All of our homes have key-less entry system, each reservation gets their own code, no keys! We are family owned and our office is at 532 Laneda Avenue in Manzanita. Our homes are exceptionally clean and ready for a wonderful vacation experience. All homes have Wi-Fi and cable TV. No confusing paperwork or contracts, just a few simple clicks on the rental agreement and you're done! 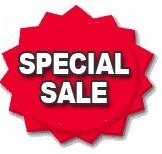 Specials are seasonal, see top of this page.